If there’s something that can be said with a fair amount of conviction, it’s that Adele is a household name in the least controversial sense of the term. When “Rolling in the Deep” set the world on fire in 2011, it gave the general public something that they didn’t even know they needed: a pop powerhouse without a bone of “diva” in her body; a real, relatable woman who also just happened to have a voice rivaling Aretha Franklin’s. So, needless to say, when Adele made a crash landing into our lives after a lengthy hiatus, the world released a widespread sigh of relief. “Hello” was the single we had all been waiting for: the power ballad to end all power ballads. And this was only the tip of the iceberg. 25 possesses the dynamism of “Hello” and then some, an 11 track journey that delves back into the depths of Adele’s distress and heartbreak. Adele’s previous albums 19 and 21 have passed the torch to 25 in terms of their thematic elements. The feeling of wistful yearning still runs rampant as Adele reminisces of love lost and bad blood, and one begins to wonder just how much heartbreak one woman could have possibly experienced. “Send My Love (To Your New Lover)” is an attempt to lighten the mood made by co-writer and Swedish hit machine Max Martin, who brings his signature formula of up-tempo beats and pointed melodies to the table for the track. First love and newfound maturity seem to be some of Adele’s favorite things to write about, as we first came to discover thanks to nearly all of her previous discography, especially with tracks such as “Turning Tables” and “Hometown Glory.” This trend doesn’t stop with 25, on which childhood nostalgia is quite possibly the most prominent theme of the album. This is especially apparent in “River Lea” and “Million Years Ago,” some of Adele’s most powerfully wistful and evocative songs yet. “River Lea” is a reflective tale, in which she croons about her childhood home and the importance of not forgetting one’s roots. “Million Years Ago” is borderline heartbreaking, a melancholy tune of missing one’s family and friends, and the tragic but inevitable fading of memories past. She attempts to bring herself out of the dumps with “Sweetest Devotion”, in which the pop powerhouse sings about being happily in love instead of being miserably grief-stricken, bringing a welcome change to the table. Although Adele’s unparalleled vocals make every song of hers a delight to listen to, the constant mournful and dolorous qualities of 25 make the record come across as repetitious and overly sorrowful. 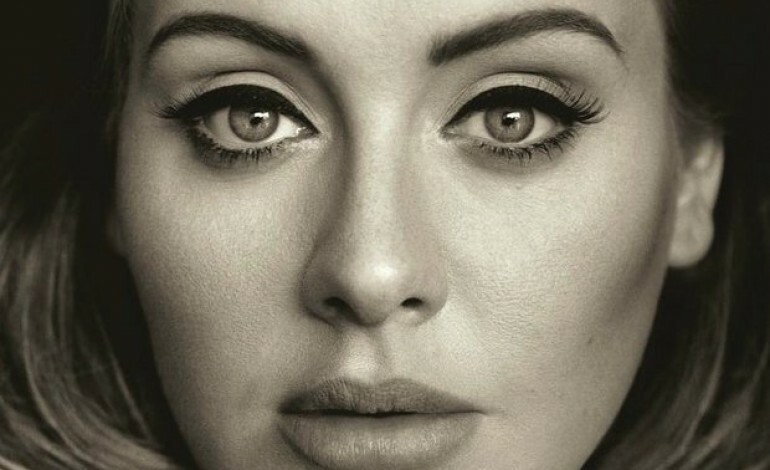 But, who can blame Adele for sticking to what works for her? “If it ain’t broke, don’t fix it” is surely her mantra, as there is no discernible reason as to why she should suddenly upend the definitive style that skyrocketed her to fame. Adele is the reigning queen of sentimental ballads, and she doesn’t plan on giving up her crown anytime soon. The woman knows how to play her cards right, and there’s no better evidence of this than the fact that 25 has sold 2.24 million copies in just its first week of release. Although complaints could be voiced in regards to Adele’s constant wallowing, one could never stay bitter at the angel-voiced songstress for long. Her near-flawless vocal performance manages to mask any possible negatives in terms of her music, so there’s not much that one can do besides sit back and enjoy the melancholy roller coaster ride that is 25. Get ready to get comfortable with living in Adele’s world, because this time, she’s not going anywhere.